Several Android phones have been hitting the market and the world of android phones is growing by leaps and bounds. Motorola Titanium has also forayed into Android world. 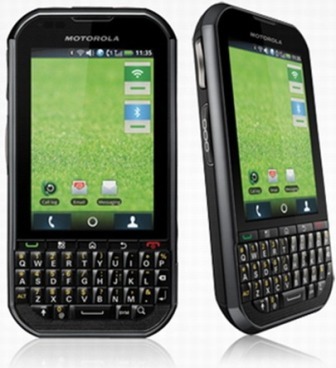 It is considered as the successor of Motorola i1. 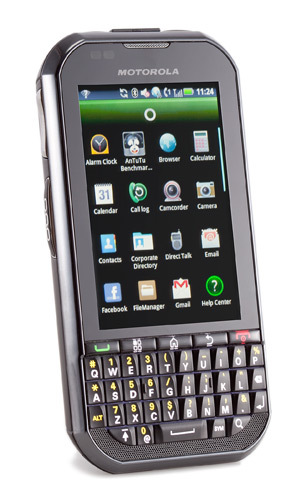 There is a key replacement which is better than Blackberry Curve. The out of the box feature is that the phone is made on military specification and so it is shockproof, dustproof and compatible in low pressures and with high and low temperatures. So, it is named as Motorola Titanium. The phone comes with 5 megapixel camera along with 4x zoom facility, autofocus, digital zoom and LED flash. Apart from this there is USB port, 3.5 mm jack, GPS, GPRS, FM radio, MP3 music player and Bluetooth. The battery is said to provide 6.8 hours of talk time. The multi-format music player supports formats like WMA, MIDI, OGG, AAC, AAC+, MP3 and video player supports formats like WMV, MPEG4, H.264 and H.264. The internal memory of the phone is 512MB and is expandable up to 32GB. There is a card slot for microSDHC and microSD. E-mails(POP3, IMAP, Microsoft Exchange, SMTP) are also supported. There are Google Mobile services like Gmail, Google Talk, Google Search, Google maps with navigation, YouTube and Google calendar. It can be very disappointing to the users that Motorola Titanium is running on Android 2.1 than the newer version, Android Gingerbread. With Android 2.1 there is no flash support, Facebook syncing, microSD card application storage and many more things. Motorola Titanium is a durable phone that comes with responsive touchscreen, push-to-talk functionality, WIFI, Bluetooth, good battery life and a tactile keyboard. The performance might not be up to the mark. It comes with Android 2.1 Eclair. The 3G speed is certainly not good and can be slow for data usage. Moreover, multimedia experience is also average. Motorola Titanium is just an average phone. It might comes with outdated software much to the chagrin of the users. 500MHz processor might be okay for switching the regular applications but not for the applications that are power-hungry. It is just a well built basic phone with no advanced display technology, front facing camera and no HD recording. Motorola Titanium running on Sprint Nextel is priced at $149.99.